Should CRISPR Scientists Play God? Title: Should CRISPR Scientists Play God? Abstract: Will CRISPR usher in a new era of Promethean overreach? 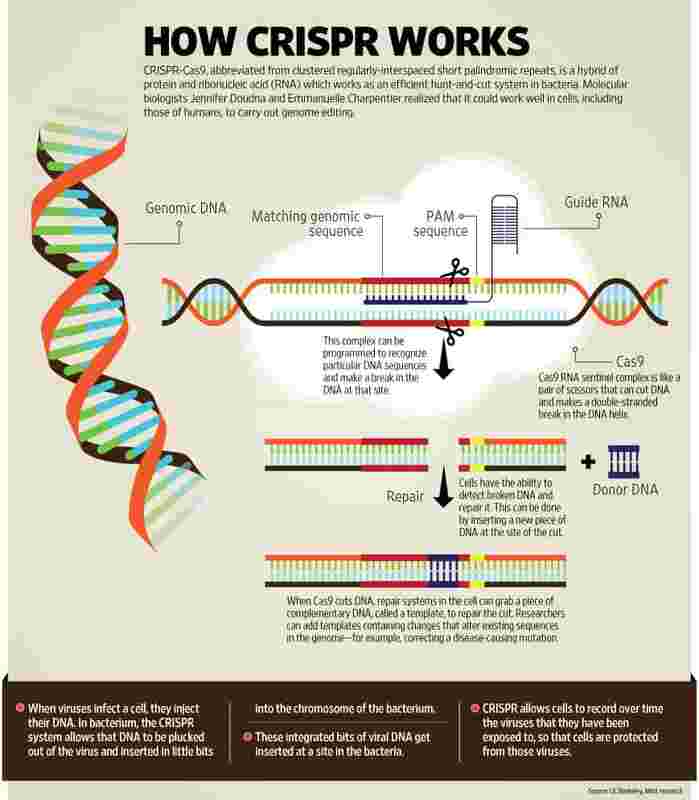 CRISPR makes gene editing widely available and cheap. Anti-play-god bioethicists fear that geneticists will play god and precipitate a backlash from nature that could be devastating. In contrast to the anti-play-god bioethicists, this article recommends that laboratory science invoke the Precautionary Principle: pause at the yellow caution light, but then with constant risk-assessment proceed ahead. Abstract: CRISPR's breakthrough made headlines. But are we ready to engineer designer babies? Abstract: Francis S. Collins, M.D., Ph.D., the 16th Director of NIH, posts multiple articles about CRISPR. Abstract: Dr. Chase Beisel​ was recognized earlier this year with one of Bay Area Lyme Foundation’s prestigious Emerging Leader Awards. This honor is in recognition of and support for his lab‘s novel work exploring CRISPR technology as a potential treatment for Lyme infections. Abstract: Researchers the world over are fast adopting CRISPR-Cas9 to tinker with the genomes of humans, viruses, bacteria, animals and plants. Nature brings together research, reporting and expert opinion to keep you abreast of the frontiers of gene editing. Abstract: Biologists continue to hone their tools for deleting, replacing or otherwise editing DNA and a strategy called CRISPR has become one of the most popular ways to do genome engineering. Utilizing a modified bacterial protein and a RNA that guides it to a specific DNA sequence, the CRISPR system provides unprecedented control over genes in many species, including perhaps humans. This control has allowed many new types of experiments, but also raised questions about what CRISPR can enable. At least one group has already used CRISPR on human embryos, sparking calls for a moratorium on similar work and an international summit at the end of 2015 to discuss the science and ethics of human gene editing. Meanwhile, CRISPR is making it much easier to generate genetically modified animals and plants, creating new regulatory issues that scientists, agencies, politicians, and, ultimately, society must address. Abstract: Through DNA editing, researchers hope to alter the genetic destiny of species and eliminate diseases.